NVIDIA has just announced NVIDIA TITAN RTX and calls it the world’s most powerful desktop GPU. The company says that the Titan RTX is their greatest leap since the invention of the CUDA GPU in 2006. This GPU is based on NVIDIA Turing architecture that delivers 130 teraflops of deep learning performance and 11 GigaRays of ray-tracing performance. Titan RTX has 72 Turing RT and 4,608 CUDA cores as compared to 68 Turing RT and 4,352 CUDA in RTX 2080 Ti. It comes with 24GB of GDDR6 VRAM. It is priced at $2,500. The card is based on the same TU102 GPU as RTX 2080 Ti but the latter had used a slightly cut-down version of the GPU and only 11GB of VRAM. The base clock is 1350MHz, with a boost clock of 1770MHz. NVIDIA claims that the GPU will offer good performance for AI research, data science, and creative applications. It also offers incredible performance and memory bandwidth for real-time 8K video editing As it is priced too high, it basically aims AI researchers or gamers who have enough to spend on it. 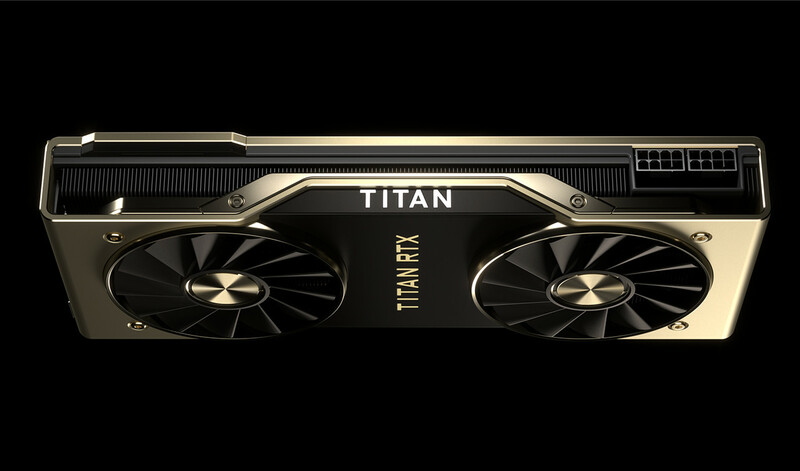 RTX Titan delivers 9% more memory bandwidth compared to the RTX 2080Ti. It also uses the full 100GB/s NVLink connection to pair a couple of Titan RTX cards. There is a gold NVLink connector to match the Titan RTX gold color scheme. The new Titan sports the upgraded dual-axial cooler and metal backplate. It requires 30w more than the RTX 2080 Ti but has the same dual eight-pin power connectors. It will be available later this Month in the U.S. and Europe.